Mr. William J. Gardner, Sr., age 80, of Dalton, died Sunday, January 27, 2019 at the Berkshire Medical Center after a brief illness. He was a golf lover, extremely proud of having the best lawn and loved hosting never-ending tractor rides for his grandchildren and all the kids in the neighborhood. Bill was born in Pittsfield on July 7, 1938, a son of the late Katharyn Ryan Gardner and Ralph L. Gardner Sr., and attended St. Joseph’s High School where he was known by many as an outstanding basketball player. In 1956 he entered the Air Force and was stationed at Keesler Air Force Base in Biloxi, MS. Following his honorable discharge, Bill returned home to Pittsfield and spent a combined 35 years at Coca Cola and Anheuser Busch until he retired. Upon retirement and through last year, Bill worked part time for Quality Printing. In 1984 Bill participated in the relay of the Olympic torch to LA. He carried the torch for the Southbridge, MA leg on June 10, 1984 at 10pm. In 2000 Bill was inducted into the Pittsfield Hoop Club Hall of Fame and in 2012 he was inducted into the St Joseph’s High School Hall of Fame. Bill had a passion for golfing, and at one time was a member of both Berkshire Hills and Wahconah Country Club. More recently, he was a member at GEAA. Bill also had his “Morning Coffee Club” at the Dalton General Store, and his input to the morning conversations will surely be missed. Bill was known as a vivid story teller. Bill married the former Patricia Hooper 59 years ago on January 2nd. Together, and with their family, they enjoyed traveling to locations ranging from Maine to Lake Placid, Florida, Aruba, Hawaii and recently to Arizona to see the Grand Canyon. A devoted family man, Bill never missed his grandchildren’s activities or events. He loved to cheer them on and was so proud of each of them. He also loved to be outside, and always was the first to help one of his kids with projects around their homes. He made everyone laugh with his “Bumpa-isms” to teach life lessons. 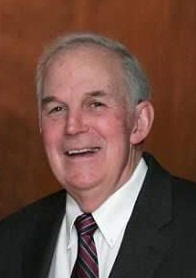 Besides his wife, Bill will be missed by his three children, Donna Polidoro and her husband Michael of Pittsfield, William J. Gardner, Jr. of Franklin, and Thomas Gardner and his wife Jennifer of Cortlandt Manor, NY, his grandchildren, Alyssa and Stephen Capitanio, Hayley Duffy, William J. III and Abigail Gardner, Paisley and Andrew Gardner, as well as his great-granddaughter Chelsea and beloved “grand-dog” Coco. He also leaves three siblings, Charlotte Sauve of NY, Thomas “Skip” (Nancy) Gardner of Dalton, and Trina (Bob) Barnes of Richmond, his sister in laws, Wilma Brittigan of Hudson, FL and Judy Scago of Pittsfield, his honorary children, Joseph and Kelly Krok, and their sons, Joseph and David, as well as many other friends, nieces and nephews. Besides his parents, Mr. Gardner was predeceased by his daughter-in-law, Bridget Gardner, four sisters, Patricia Anderson, Elizabeth Underhill, Dorothy Cowan, and Ellen Caffrey, and two brothers, Ralph L. Gardner, Jr. and Frank Scago. SERVICES: Calling Hours for Bill will be WEDNESDAY, January 30th from 4-7PM at the DEVANNY-CONDRON FUNERAL HOME. Funeral Services will be THURSDAY, January 31st beginning at the Funeral Home at 10AM followed by a Liturgy of Christian Burial at St. Agnes Church at 11AM with Rev. Christopher Malatesta, pastor, officiating. Burial will be at a later date.